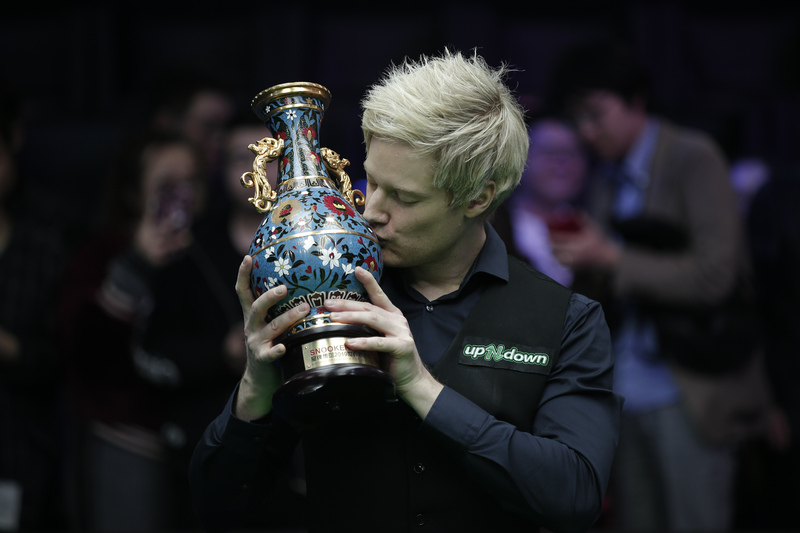 Neil Robertson’s victory at the XingPai China Open has seen him move from seventh to fourth in the world rankings, as we pass the cut off point for Betfred World Championship seedings. The Australian picked up £225,000 for his victory and now tops the one-year list, having accumulated £590,500 in ranking events over the season. The top 16 players in the world gain an automatic place at the World Championship and avoid the upcoming Crucible qualifiers. David Gilbert held onto his place in 16th, to confirm his first appearance in Sheffield as a seed. Jack Lisowski, who secured his place with a run to the China Open final, will also compete as a Crucible seed for the first time. Mark Selby exited in his first match in Beijing and was unable to regain the world number one spot from Ronnie O’Sullivan. The £500,000 top prize on offer at the Crucible this year means that Selby, Robertson and defending champion Mark Williams still remain in the hunt to pass O’Sullivan and end the season as world number one. For the provisional end of season rankings click here.